We contacted Joel about buying a house on our move from Ohio for my husband’s job transfer with Ford. We put a lot of trust in him since we were new to the area and first time home buyers in the Louisville KY market, and he always delivered on what he said. It took us a while to find a home due to the lack of homes, but once we got one, he was always quick to respond our questions via text or email ,and kept us informed through the process. We got to meet him at the closing and he was super nice and even got us a closing gift for our home which we didn’t expect at all. Super nice guy 😀!!! I would definitely recommend him for a local Home loan in the Louisville area. As a life-long Kentucky resident, I have helped over 579 Kentucky families buy or refinance their home over the last 17 years. You can trust me for your next mortgage loan. I deliver on what I say and I will give you honest, up-front personal attention you deserve for your home loan. I have several advantages over the big- mega banks in town. First, I can shop your loan thru different mortgage companies across the country to get you the best deal out there, whereas most banks will offer offer you there one and only deal. I have access to over 15 different mortgage companies to broker your loan thru. My rates and fees are just as good or better than local banks and you will not get lost in the shuffle like most borrowers do at the mega banks; your just not a number at our company, you are a person and we will treat you like one throughout the entire process. 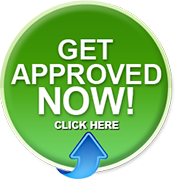 Free pre-approvals within 2 hours and get your loan closed within 15 days. Give us a try or let us compare what you have now. Call me or text me locally anywhere in KY at 502-905-3708; this is my personal cell phone and I carry it on me at all times. Free credit reports and approvals. What paperwork is needed for a Mortgage Loan Pre-Approval in Kentucky? What is the minimum credit score I need to qualify for a Kentucky FHA, VA, USDA and KHC Conventional mortgage loan in 2019? Some products and services may not be available in all states. Credit and collateral are subject to approval. Terms and conditions apply. This is not a commitment to lend. Programs, rates, terms and conditions are subject to change without notice. The content in this marketing advertisement has not been approved, reviewed, sponsored or endorsed by any department or government agency. Rates are subject to change and are subject to borrower(s) qualification. This blog is a sponsored blog created or supported by a company, organization or group of organizations. For questions about this blog, please contact Joel Lobb 502-905-3708 or email kentuckyloan@gmail.com NMLS# 57916. This blog does not accept any form of advertising, sponsorship, or paid insertions. We write for our own purposes. However, we may be influenced by our background, occupation, religion, political affiliation or experience. This blog abides by word of mouth marketing standards. We believe in honesty of relationship, opinion and identity. The compensation received may influence the advertising content, topics or posts made in this blog. That content, advertising space or post will be clearly identified as paid or sponsored content. The owner(s) of this blog is not compensated to provide opinion on products, services, websites and various other topics. The views and opinions expressed on this blog are purely the blog owners. If we claim or appear to be experts on a certain topic or product or service area, we will only endorse products or services that we believe, based on our expertise, are worthy of such endorsement. Any product claim, statistic, quote or other representation about a product or service should be verified with the manufacturer or provider. This blog does contain content which might present a conflict of interest. This content will always be identified.